Will Mel Watt Back Principal Reduction? Writing down underwater mortgages held by Fannie Mae and Freddie Mac could save the government billions and help millions of Americans. 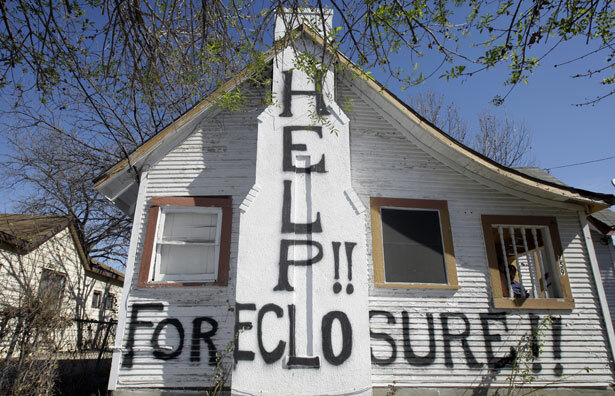 The crucial context to President Obama’s nomination of Representative Mel Watt to head the Federal Housing Finance Agency is principal reduction for distressed homeowners: in other words, a policy to reduce what some people with underwater mortgages owe. FHFA controls Fannie Mae and Freddie Mac, which in turn holds 60 percent of the mortgages in the United States. The Congressional Budget Office estimated last month that if the FHFA director ordered even a modest write-down of the underwater mortgages held by Fannie and Freddie, 1.2 million borrowers could benefit—and, the government would save $2.8 billion and avoid 43,000 defaults. So, naturally this all came up in Thursday’s Senate Banking Committee confirmation hearing for Watt and four other financial regulatory nominees. Senator Pat Toomey pressed Watt to pre-emptively declare he would not engage in any write-downs. Watt, to his credit, did not agree—but he also didn’t endorse the policy, and said some potentially troubling things about its supposed necessity. It’s worth reproducing the exchange nearly in full, as it was the only time principal reduction came up. TOOMEY: Are you prepared to commit, now, that you will not implement principal reductions on mortgages? WATT: …I suspect I will be asked to look at that again because some people will still think it’s a relevant question, despite the fact that housing prices have gone up and there are fewer and fewer people underwater at this point than there have been. But I would start, as I would with any issue that has been decided already by FHFA, I would start by studying carefully how that decision was reached, what it was based on, and then I would build on that new information—the information on which that decision was made is a year and a half old now—and make a responsible decision. So Watt is pledging to revisit the issue and won’t agree to rule out principal reduction—that’s good. But his suggestion that it may no longer be “relevant” is slightly troubling—there millions of Americans still underwater, including over a million with mortgages at Fannie and Freddie that are either already delinquent or headed that way. Toomey jumped back in here, and tried to pin Watt down by noting he signed a letter in December demanding DeMarco enact principal reduction. TOOMEY: The concern is that the information was quite recent, but available, when you signed a letter in December, urging exactly this principal reduction despite the fact that FHFA analysis [said] that this was not a good idea—was not a good idea for the enterprises, wasn’t a good idea for the taxpayers, and I don’t think it’s a good idea for mortgage credit availability generally. And so the concern is that based on the data then, and the analysis then, that suggested this was a bad idea, you nevertheless recommended it. So that’s why I’m wondering how we should view this now. Note that Toomey is wrong here—the FHFA analysis didn’t quite say that, or at least the parts it didn’t release publicly didn’t say that. Also, there’s that recent CBO report saying the opposite, along with a raft of similar outside studies. Watt immediately noted that—but then went on to almost disclaim the letter demanding principal reduction. WATT: First of all, there was conflicting data out there. Obviously FHFA had made a decision that reached one conclusion, but there was conflicting data. Second of all, you’ve got to understand that I was a member of Congress representing my constituents, many of whom were underwater and advocating for relief for them. You should have no doubt that I will be a strong and aggressive advocate for the taxpayers in this role, because I view them as my constituents in this role, not the constituents that I represented before. What’s potentially troubling here is that “I’m looking out for the taxpayers, not homeowners” was DeMarco’s mantra when he declined to enact principal reduction. So should reformers be concerned about Watt’s answers? George Zornick laments the long road towards justice for homeowners.